Today, these rollers are hard to find and often very expensive. What helps: Build one yourself! 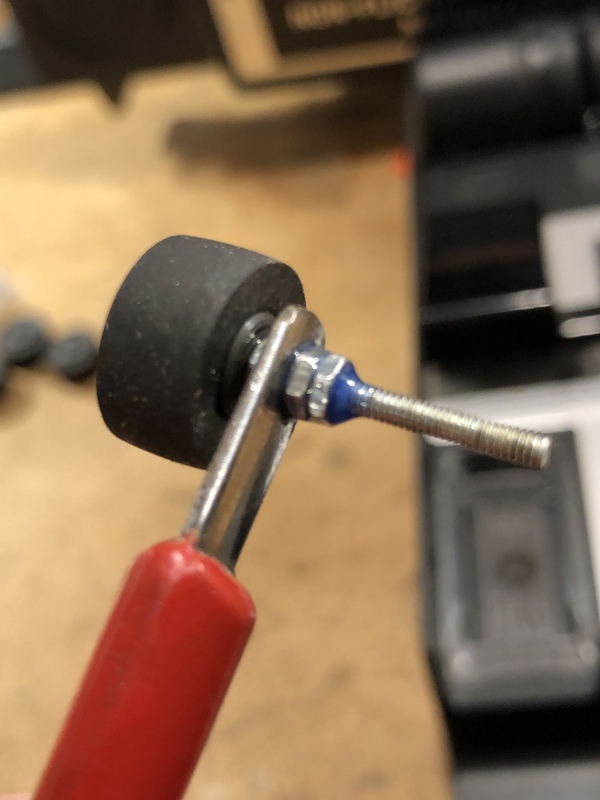 A capstan drive pressure roll from the craft box and an old spoon (for a handy, sturdy handle) were all that was needed alongside a hole, bolts and nuts. Rubber pressure rolls from cassette and VHS recorders are easy to find — in old appliances, the craft box or junk stores like Pollin. The finished tape roller before the screw was cut off. Loc-tite prevents the countered nuts from opening. A tape splice before pressing the tape. Here it was probably a bit dusty ..? … and after rolling on. The narrow roll is primarily intended for 8mm film, but is also suitable for 16mm film.